Second one to flower from this cross. This is sort of similar to Phal Kuntrarti Rarashati (venosa x equestris). First one to bloom. 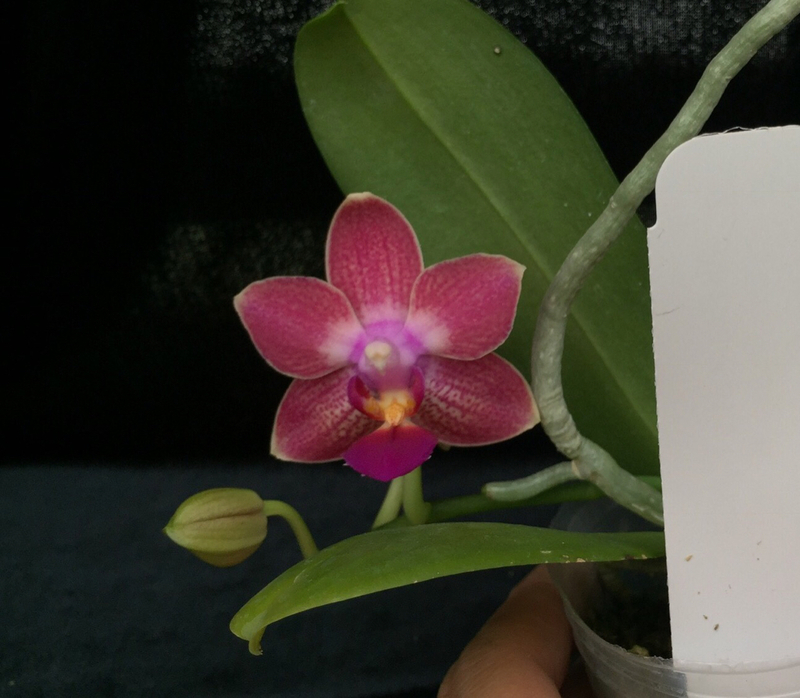 Lip is beautiful from Phal equestris/lindenii. Form is good for most Phal equestris hybrid has a tendency to reflex. Did not get the waxy texture from John Ewing however - but I did not expect it would. We will see on next bloom if it has more flowers. Here is the first to bloom to my knowledge. I almost forgot about it. I like the form better on the second one. But the lip on this first bloom is nice. It's fair to say I will always find something that I like to improve in a flower.